Decoding the symbols on clothing labels can be challenging. 1. The left hand side machine wash symbol is the temperature to used to wash that particular item. If the symbol contains one dot, you wash in cold, two dots, you wash in warm, and three dots, you wash in hot. If there is an X over the symbol, head to your nearest dry cleaners. 2. The bleach symbol refers to whether or not you should use chlorine bleach. If it’s a plain white triangle, you may use bleach with caution, if there is an X over it, then don’t use bleach. 3. 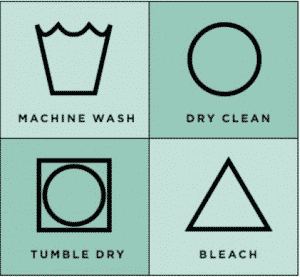 The tumble dry symbol refers to drying methods. A white circle indicates you can use any heat, one dot means use a low temperature, two dots, normal temperature, and three dots means high temperature. 4. 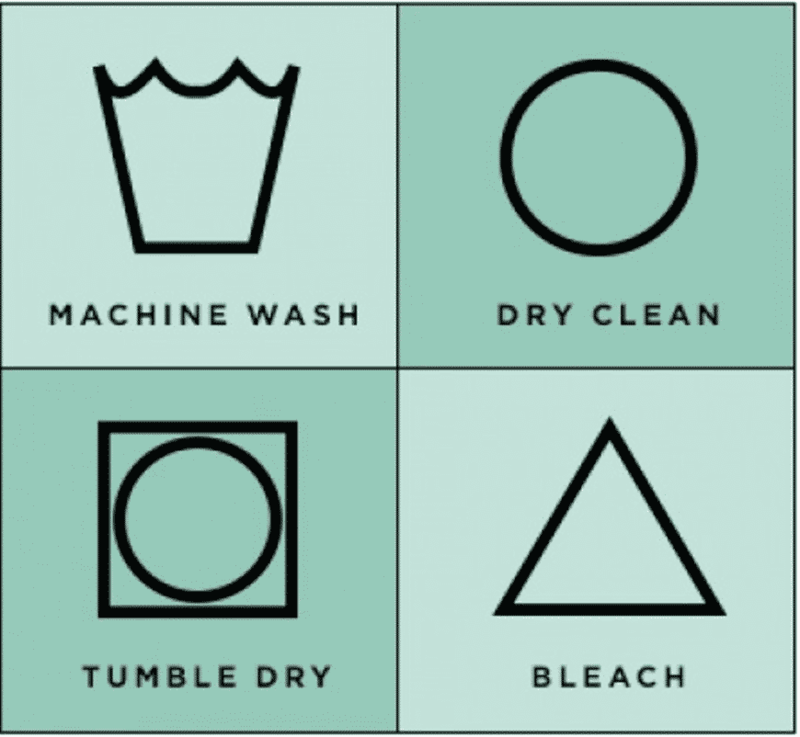 The dry clean symbol indicates just that: whether or not you need to dry clean the piece. If you see a big X, that’s your cue to use the washing machine.